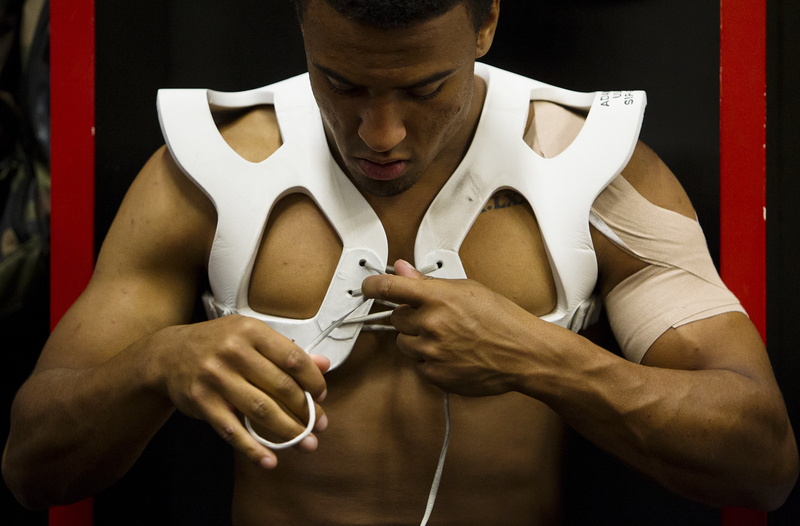 Westshore Rebels Defensive Back Jailen Shawn Goodson ties up his shoulder pads prior to a game versus the Kamloops Broncos at Westhills Stadium in Langford B.C. on Saturday August 29, 2015. 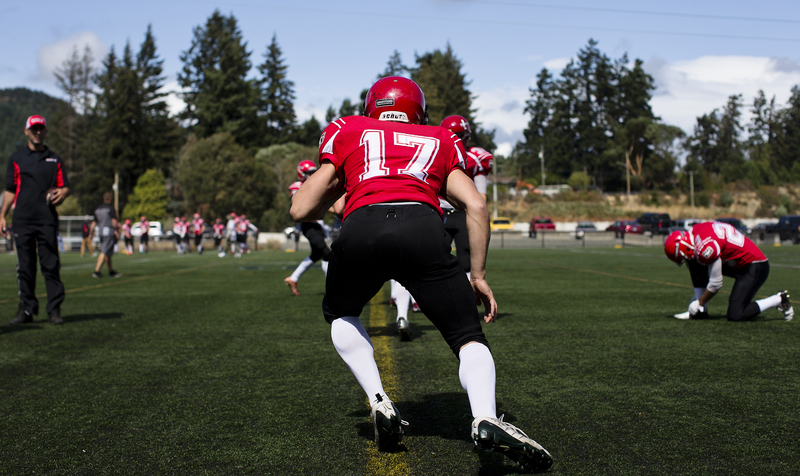 Westshore Rebels Defensive Back Bryce Mosley runs through his on field warm-up prior to a game versus the Kamloops Broncos at Westhills Stadium in Langford B.C. on Saturday August 29, 2015. 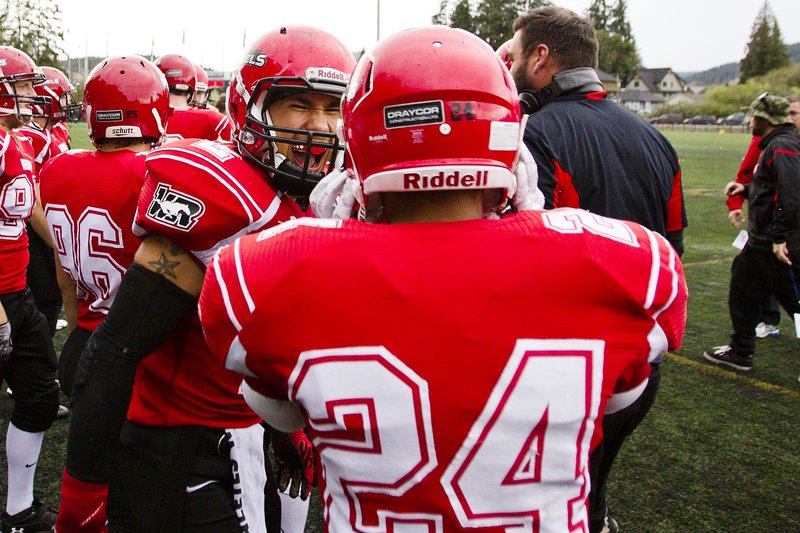 Westshore Rebels Receiver Eric Williams gets a hug prior to a game versus the Kamloops Broncos at Westhills Stadium in Langford B.C. on Saturday August 29, 2015. 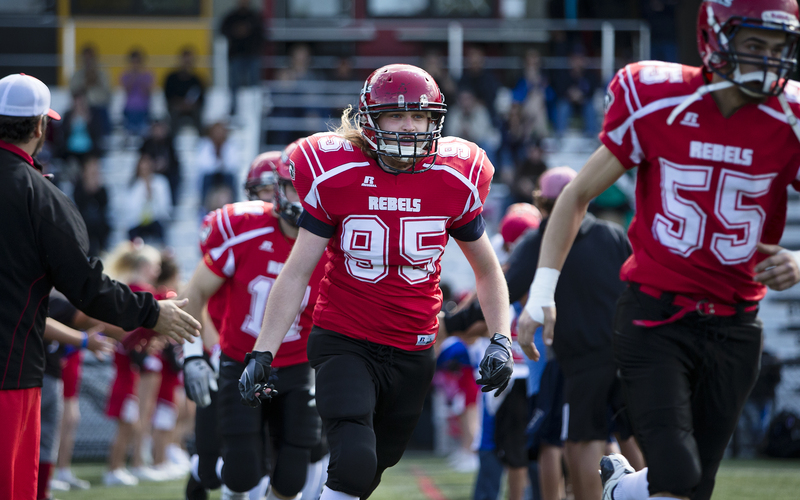 Westshore Rebels Defensive Lineman Erikson Deseron run onto the field prior to a game versus the Kamloops Broncos at Westhills Stadium in Langford B.C. on Saturday August 29, 2015. Westshore Rebels Kicker Erikson Deseron has his first quarter field goal attempt blocked by Kamloops Broncos defensive back Derek Trager at Westhills Stadium in Langford B.C. on Saturday August 29, 2015. 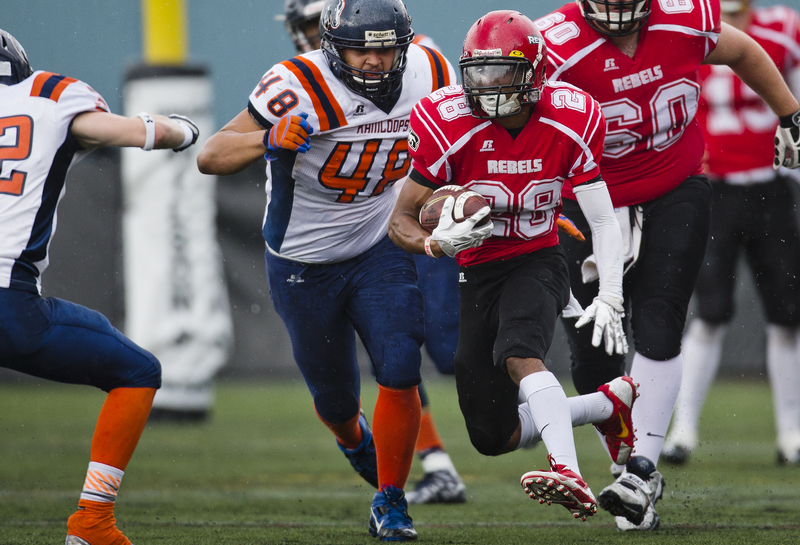 Westshore Rebels receiver Eric Willimas escapes the grasp of linebacker Michael Ochoa during a game versus the Kamloops Broncos at Westhills Stadium in Langford B.C. on Saturday August 29, 2015. 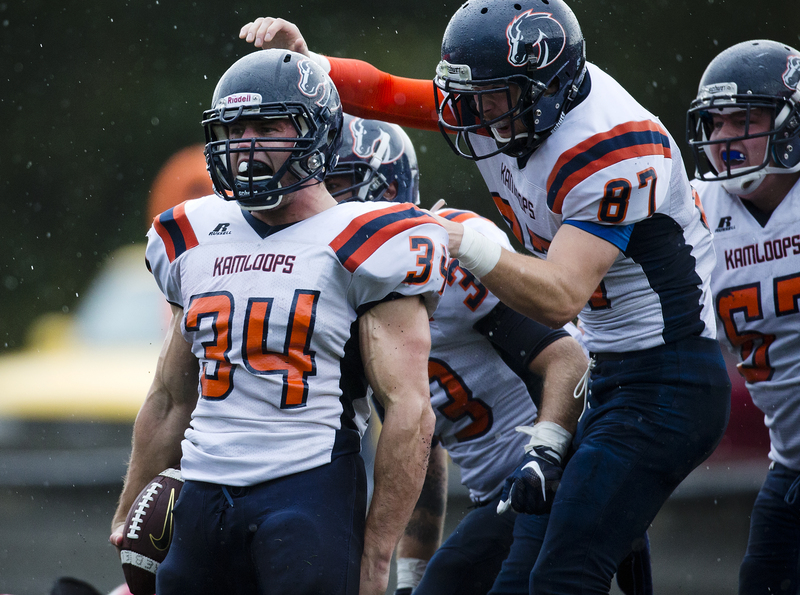 Westshore Rebels defensive back Jordan Bosse celebrates a touchdown with teammate Brody Uddenberg versus the Kamloops Broncos at Westhills Stadium in Langford B.C. on Saturday August 29, 2015. 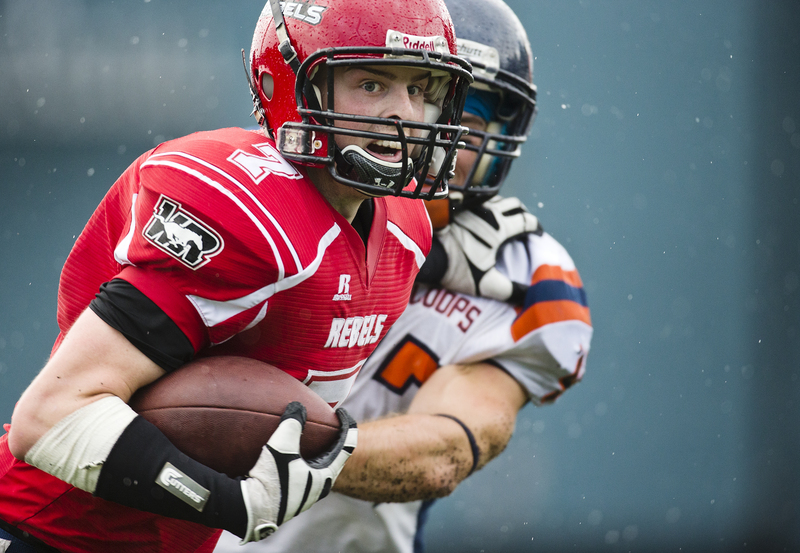 Westshore Rebels receiver Joe Barkhouse stiff arms Jake Bainas on his way downfield during the second half of a game versus the Kamloops Broncos at Westhills Stadium in Langford B.C. on Saturday August 29, 2015. Westshore Rebels defensive back Jordan Bosse is attended to by Athletic Therapist Molly Atkin during a game versus the Kamloops Broncos at Westhills Stadium in Langford B.C. on Saturday August 29, 2015. 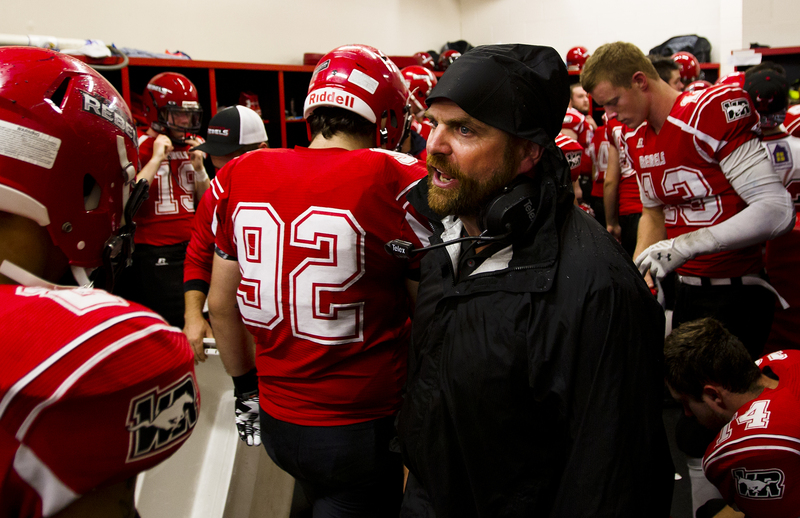 Westshore Rebels Head Coach JC Boise gets his team pumped up at half time versus the Kamloops Broncos at Westhills Stadium in Langford B.C. on Saturday August 29, 2015. 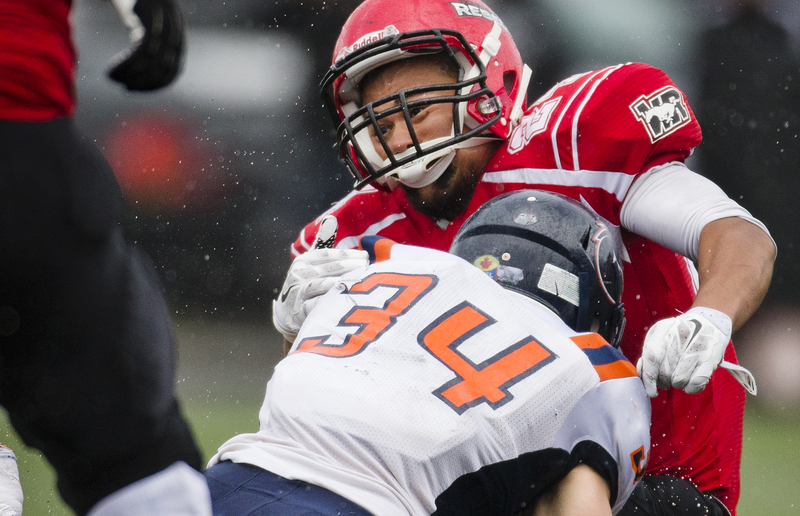 Westshore Rebels defensive back Brody Uddenberg is hit by running back Jacob Palmarin (34) as rain begins to fall during the second half of a game versus the Kamloops Broncos at Westhills Stadium in Langford B.C. on Saturday August 29, 2015. 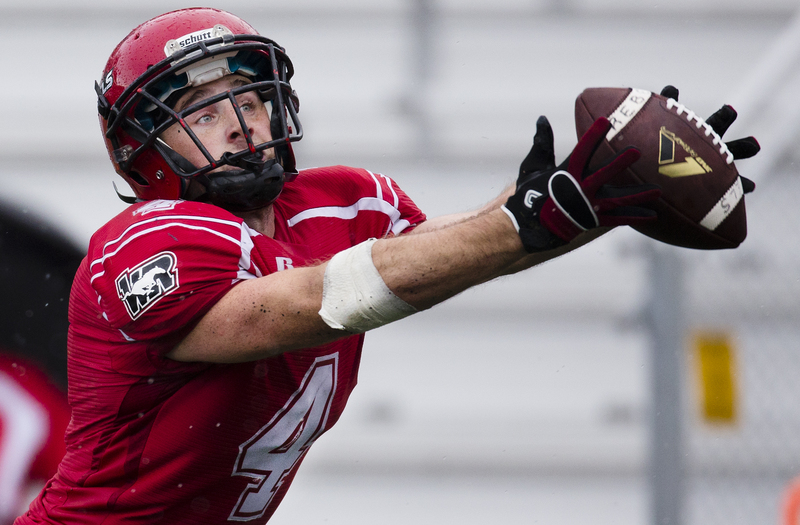 Westshore Rebels receiver Hunter Lake makes a diving touch down grab versus the Kamloops Broncos at Westhills Stadium in Langford B.C. on Saturday August 29, 2015. 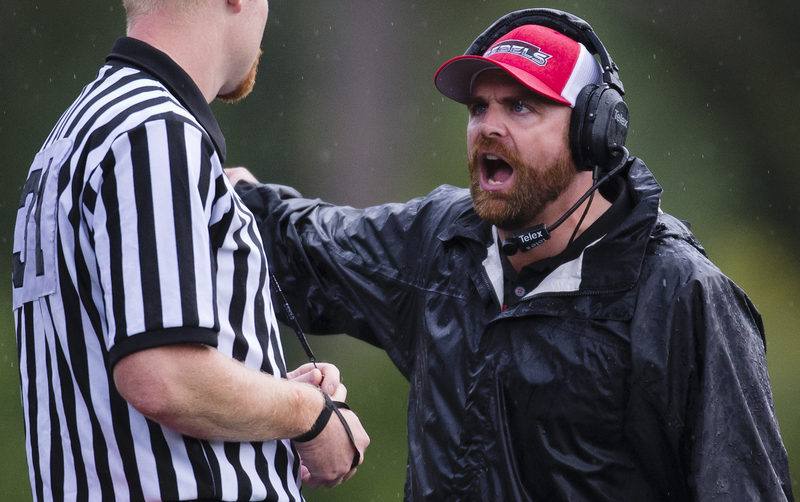 With a six point lead Westshore Rebel head coach JC Boise argues with the official over a time out call during the last-minute of the fourth quarter versus the Kamloops Broncos at Westhills Stadium in Langford B.C. on Saturday August 29, 2015. Kamloops Broncos running back Jacob Palmarin scores the game winning touchdown with under a minute to play versus the Westshore Rebels at Westhills Stadium in Langford B.C. on Saturday August 29, 2015. The Broncos would go on to beat the Rebels 37-36 for their fourth win of the season. 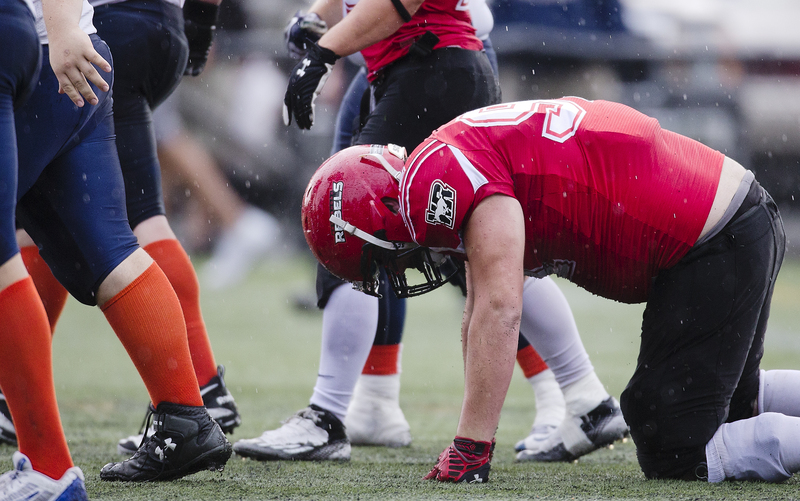 Westshore Rebels Defensive Lineman Peter Allan struggles to get up after Kamloops Broncos running back Jacob Palmarin scored what turn out to be the game winning touchdown with under a minute left to play at Westhills Stadium in Langford B.C. on Saturday August 29, 2015. 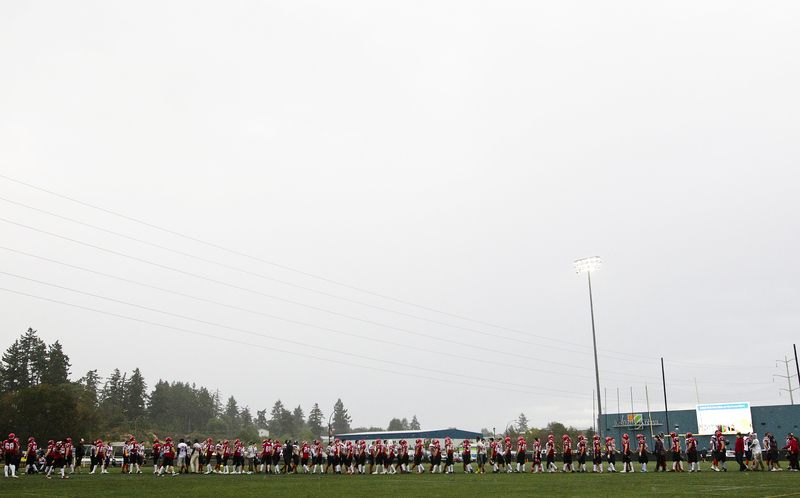 The Kamloops Broncos and Westshore Rebels shake hands following a 37-36 Broncos win at Westhills Stadium in Langford B.C. on Saturday August 29, 2015. Westshore Rebels Defensive back Jordan Bosse sits in his locker stall dejected following a tight 37-36 loss to the Kamloops Broncos at Westhills Stadium in Langford B.C. on Saturday August 29, 2015. 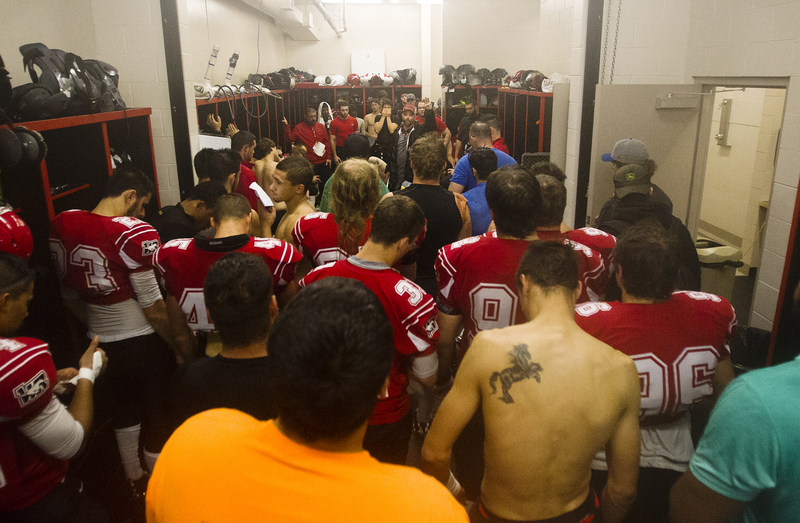 Westshore Rebels Head Coach JC Boise talks to his team following a tight 37-36 loss to the Kamloops Broncos at Westhills Stadium in Langford B.C. on Saturday August 29, 2015.